L 2000 x 1385px 8 Mb. XL 5295 x 3666px 15 Mb. Set of Flyer Design, Web Templates. 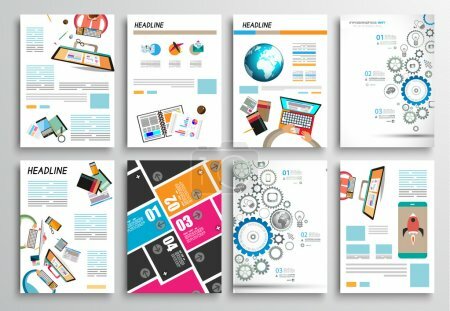 Brochure Designs, Technology Backgrounds. Mobile Technologies, Infographic ans statistic Concepts and Applications covers.